Keep food safe when the power goes out! The winter of 2016-2017 is in its early stages, and yet many parts of the country are already experiencing extreme weather conditions and power outages. 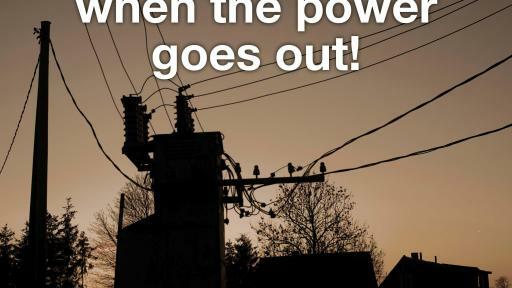 In fact, a power outage can happen at any time, and it can affect the safety of your food. 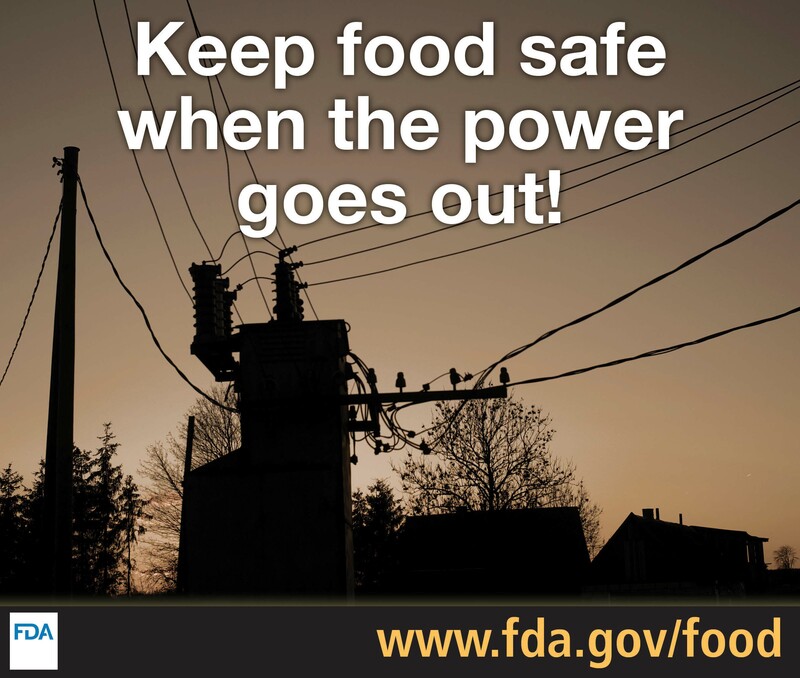 The U.S. Food and Drug Administration reminds you that the best way to ensure that food stays safe is to have a plan in place, and to know what food safety precautions to take if a power outage does occur. Plan ahead to keep food safe if the power goes out. Stock up on supplies or know where to obtain them if needed. Use a refrigerator and freezer thermometer, and check before an outage to ensure that the refrigerator temperature is at or below 40°F and the freezer is at or below 0°F. Plan for ice. Know where you can get dry or block ice. Make ice cubes and freeze containers of water or gel packs to help keep food cold in the freezer, refrigerator, or coolers. Keep coolers on hand to store refrigerated food if the power will be out for more than 4 hours. Freeze refrigerated items that you may not need immediately and group food together in the freezer. Stock your pantry with a few days worth of ready-to-eat foods that do not require cooking or refrigeration. Cold temperatures slow the growth of harmful bacteria, so keeping food at safe temperatures is critical to reduce the risk of foodborne illness. Keep refrigerator and freezer doors closed as much as possible. The refrigerator will keep food cold for about 4 hours, and a full freezer will keep the temperature for approximately 48 hours (24 hours if it is half full) if unopened. Use ice (dry or block, ice cubes, and frozen containers of water/gel packs) to keep your refrigerator and freezer as cold as possible. Before consuming any food after a power outage, check the temperatures inside your refrigerator and freezer. If the power was out for no more than 4 hours, refrigerated food should be safe as long as the doors were kept closed. Discard any perishable food (such as meat, poultry, seafood, milk, eggs, or leftovers) that has been above 40°F for 2 hours or more. If the freezer thermometer reads 40°F or below, food is safe and may be refrozen. If you did not have a thermometer in the freezer, check each package to determine its safety; you can't rely on appearance or odor. If the food still contains ice crystals or is 40°F or below, it is safe to refreeze or cook. Be aware that perishable foods that are not kept adequately refrigerated or frozen may cause foodborne illness if consumed, even after they are thoroughly cooked.